A Proposal Adequacy Checklist (PAC) helps government personnel and contractors meet all policy statutory requirements in developing a Request for Proposal (RFP) or seller’s proposal. The goal of the checklist is to ensure that contractors submit thorough, accurate, and complete proposals. Contractors will be able to self-validate the adequacy of their proposals by completing the checklist. The Department of Defense (DoD) published a PCA as a proposed rule under its DFARS 252.215–70XX “Proposal Adequacy Checklist”. This checklist supports one of DoD’s “Better Buying Power” initiatives by incorporating the requirement for a proposal adequacy checklist into the procurement regulations. As drafted, the proposed rule requires that contractors complete the checklist and submit it together with their proposals whenever cost or pricing data is required and at the discretion of the contracting officer. Defense Contract Audit Agency (DAA): is used to evaluate the adequacy of a contract price proposal when the proposal is based on certified cost or pricing data. 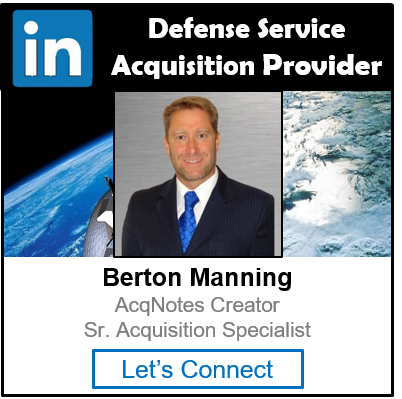 Defense Contract Management Agency (DCMA): is a useful tool designed to assist the DCMA Cost/Price Analyst to determine the adequacy of a contractor’s proposal. This checklist is to be used for sole source proposals that are over the threshold of $700,000 and no exception to the submission of certified cost and pricing data exists.